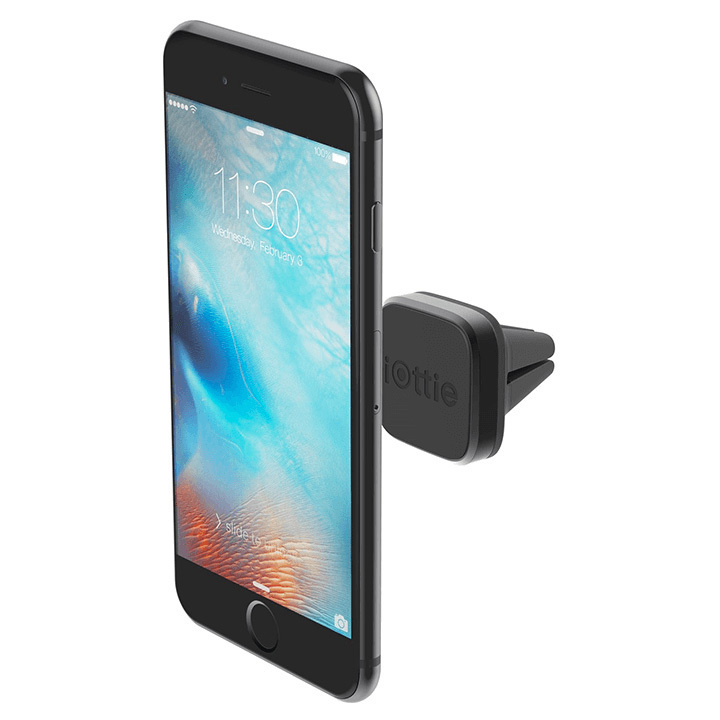 The iOttie iTap Magnetic Mini is a compact air vent mount that holds your smartphone with a strong magnetic grip. 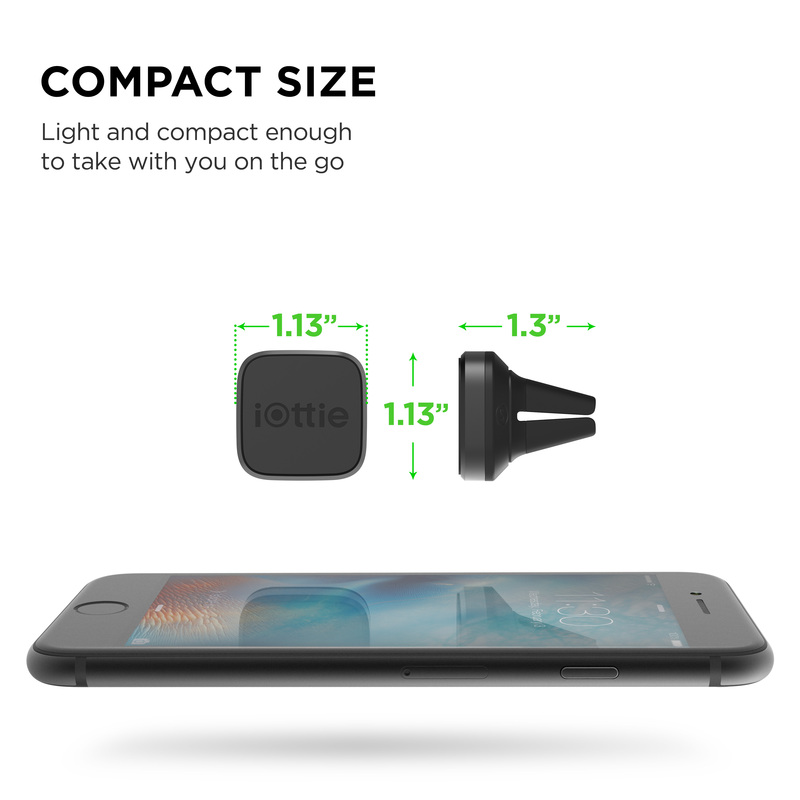 The iTap Magnetic Mini attaches to smartphones with four rare-earth magnets that provide a powerful grip for its size. The iTap Magnetic Mini features a rubber Vent Grip that fits both thick and thin air vent blades and easily holds the mount in place. Designed with stylish materials, the iTap Magnetic Mini features a sleek Aluminum Bezel and a smooth anti-slip Rubber Mounting Pad. Created for portability, this low-profile mount is small enough to take with you on to go. 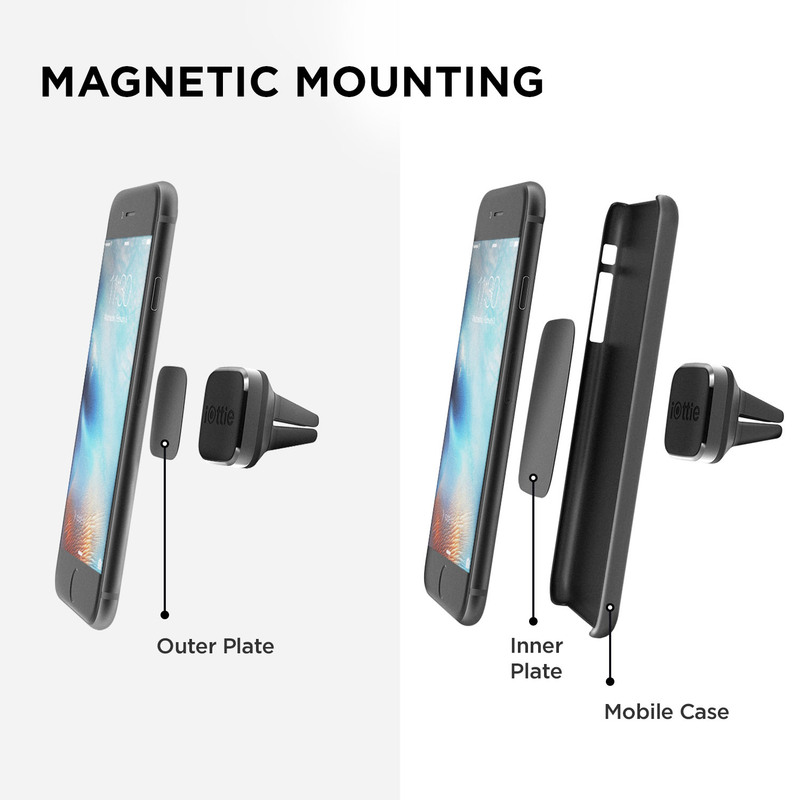 Easily attach the Metal Plate on back of smartphones, and simply mount with just a tap. 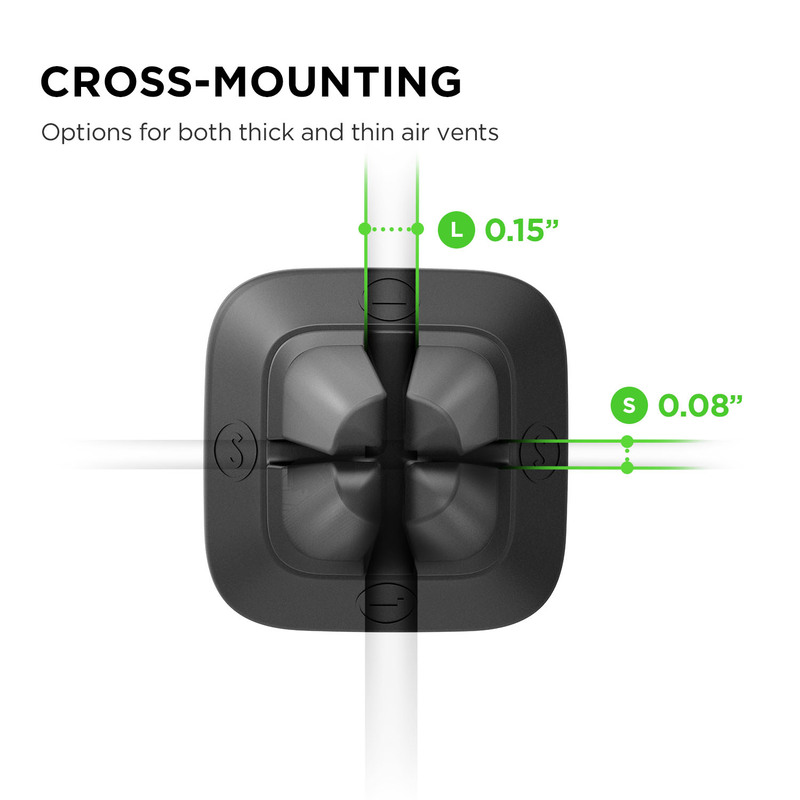 iTap Magnetic Mini Air Vent Mount features a super strong rare earth magnet and is 100% safe for your smartphone. 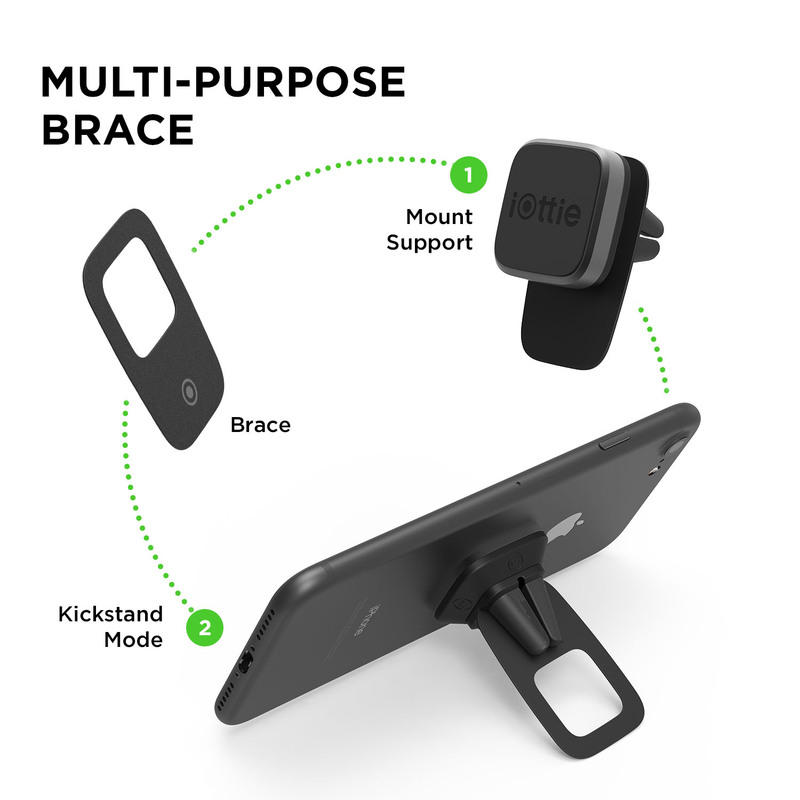 Metal Plate easily attaches to the back of your smartphone or inside the smartphone cases. Vent Grips on back of mount are made of a soft rubber material to protect your vents and provide a firm grip. The spacing between the Vent Grips is varied to provide solutions for both thick and thin air vents. 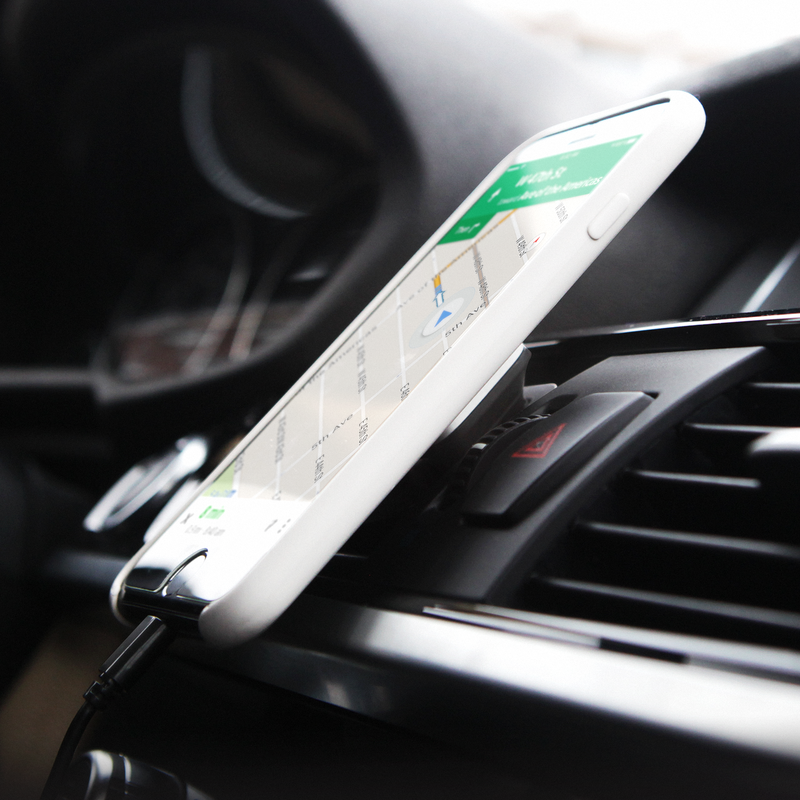 A Brace can help to support mount when driving and can also be used as a kickstand to prop up your phone when you’re out of your vehicle. iTap Mini Magnetic is compact and features a slim profile to fit into small or large air vents.